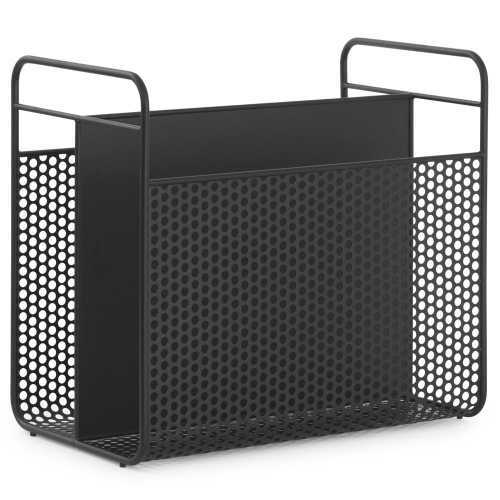 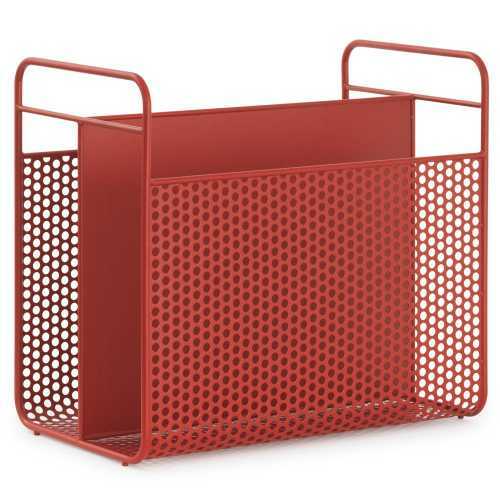 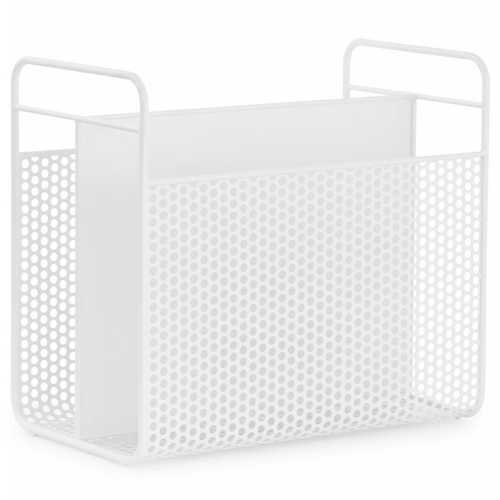 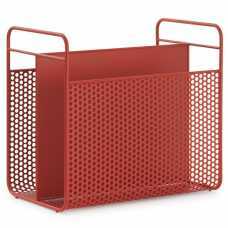 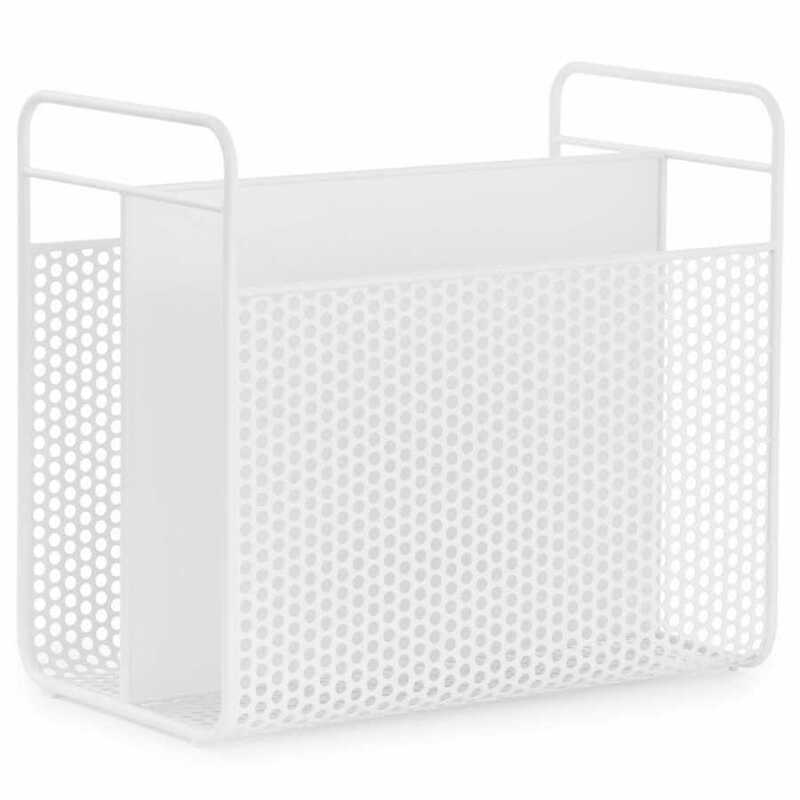 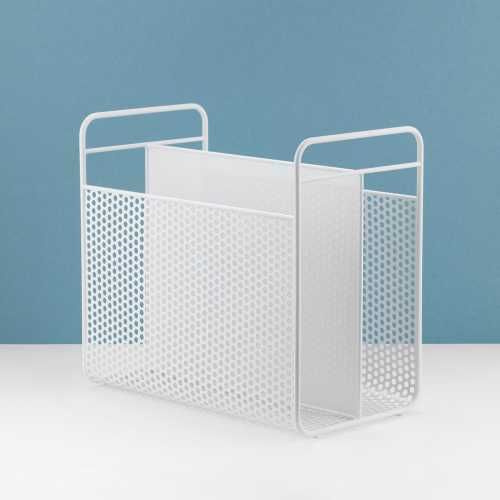 The Normann Copenhagen Analog Magazine Rack is a practical yet modern storage solution for storing magazines, important documents or newspapers in your office space, living room of bedroom. 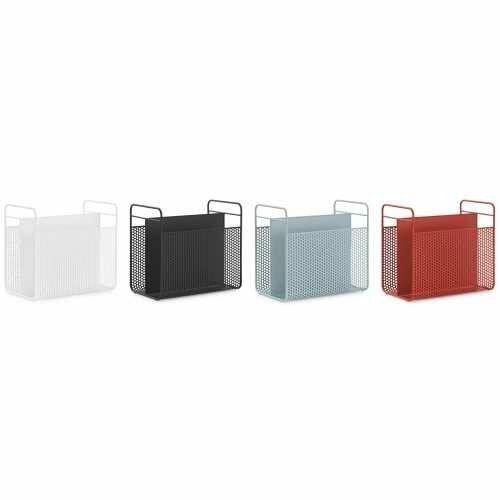 This sleek and smart magazine rack is available in four bold and sleek colourways; Red, Black, White and Blue-Grey ensuring that there is a colour option to suit your interior design taste. 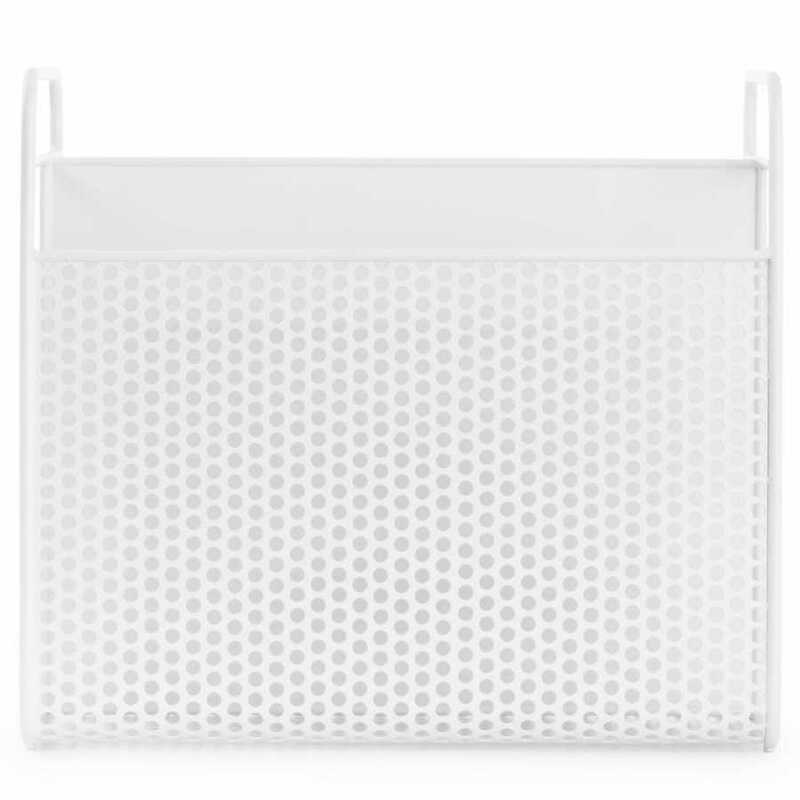 The designer behind this nostalgic magazine design, Simon Legald has designed the Analog Magazine Rack with inspiration taken from the digital world. 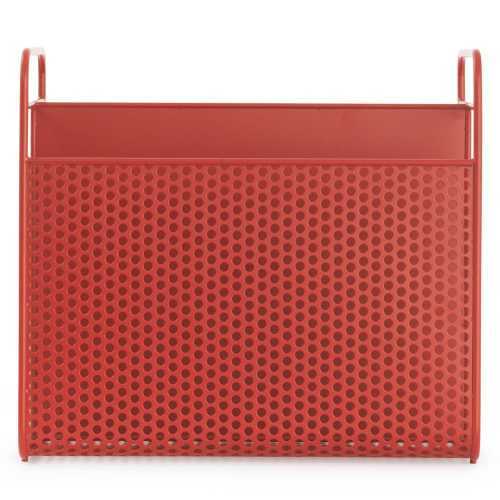 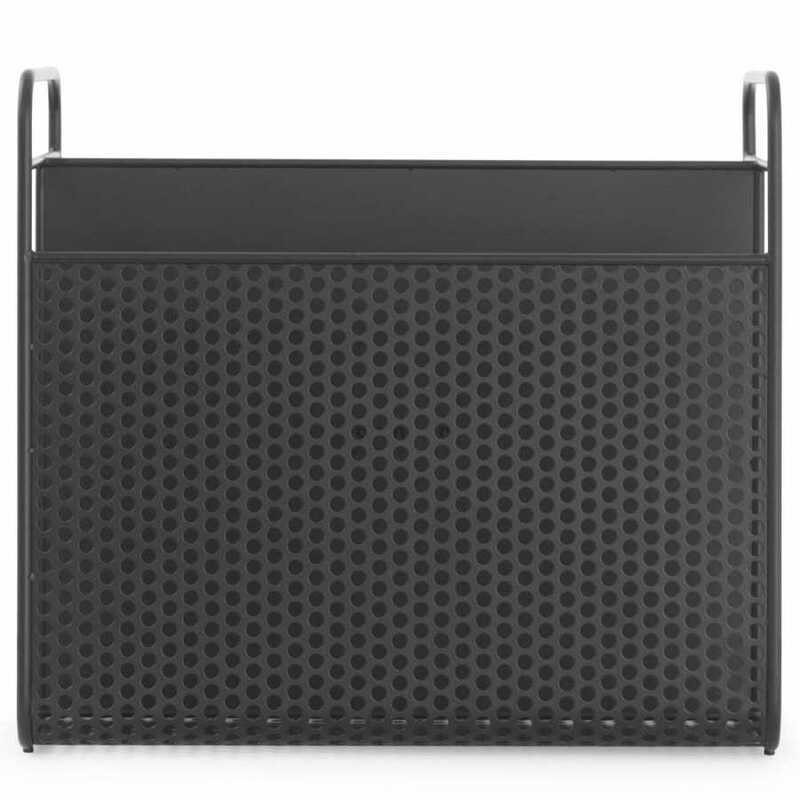 The magazine rack’s hole-patterned sides are inspired by the computer equipment of the 90’s that had similar perforations for cooling down the electronics. 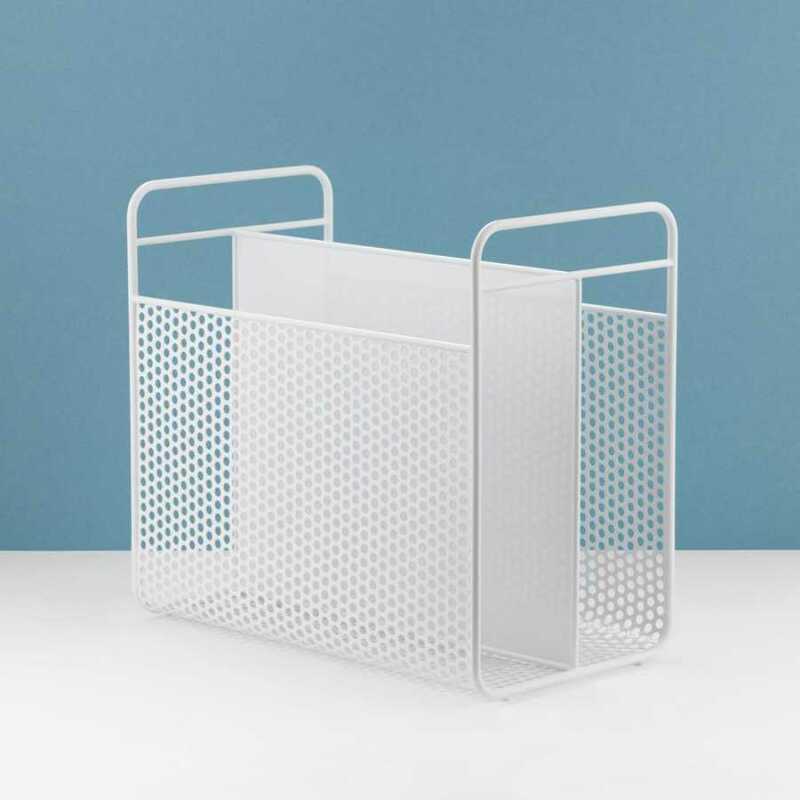 Despite the modern technology look the overall appearance of the Normann Copenhagen Analog Magazine Rack is a classic shape with two practical separate compartments and practical handles. 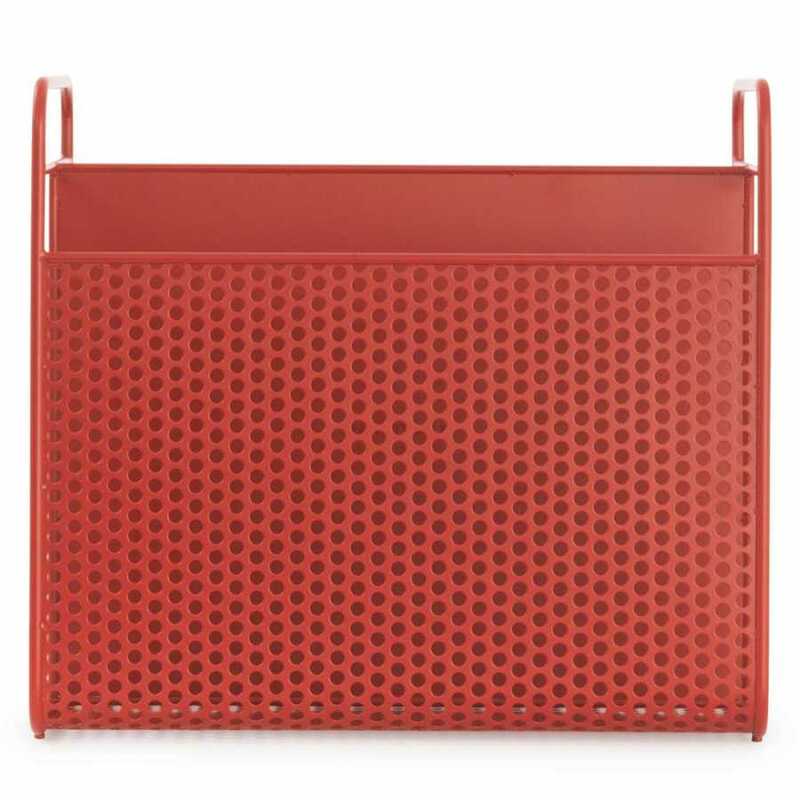 The industrial, coated steel results in an overall contemporary expression and measures at 36.6cm height, 40.2cm width and has a depth of 23.5cm and weighs at 3.6kg. To find out more about the other products in the Normann Copenhagen range, please visit the Normann Copenhagen brand page.